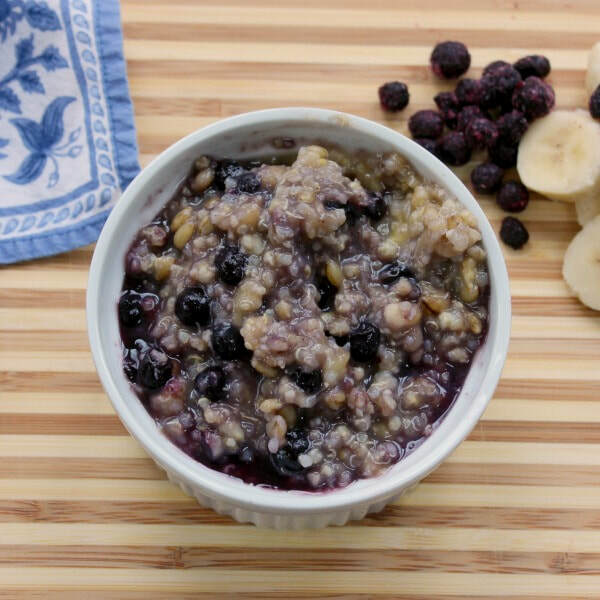 To make this a quick and easy breakfast, use leftover plain quinoa or oatmeal! Pour quinoa into a sauce pan with water. Bring to a boil and stir. Reduce heat and cover the pot. Let quinoa sit for 15-20 minutes to absorb the water and get fluffy. Peel and mash the banana with a fork in a small bowl or on a plate. When the quinoa is ready (no excess water in the pan, and visible "tails" on the quinoa), add mashed banana and blueberries. Stir, allowing blueberries to thaw.